The cylindrical plane organ without chlorophyll, growing towards the gravity is called root. There are two groups of roots: Tap root and Adventitious roots. I. 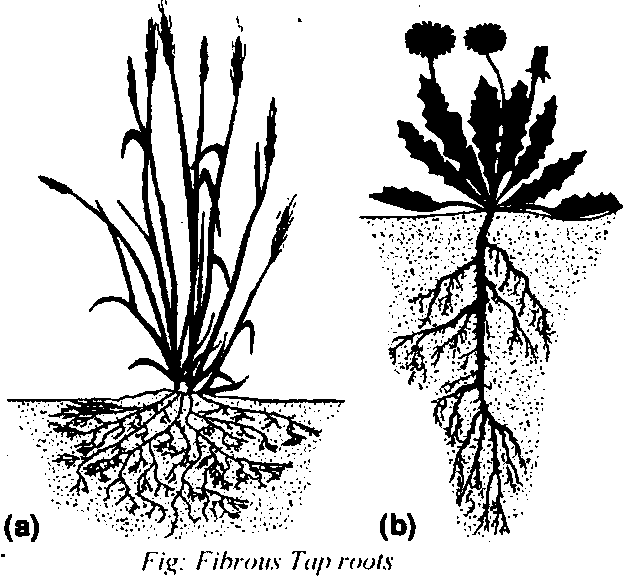 Fibrous tap roots: The long and slender tap root with slender branches is called fibrous tap root. It is found in many herbs like bean, pea etc. In some leguminous plants, the tap roots form nodules. 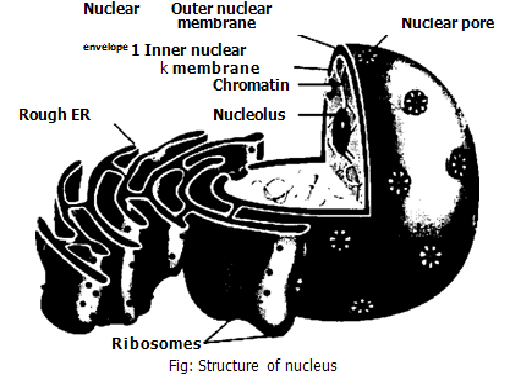 Bacteria live in these nodules and fix atmospheric nitrogen. Conical: These roots are swollen towards tipper end but taper towards the lower end. Examples: carrot, radish. Napiform: These tap roots are very much swollen above but abruptly tapers towards the lower end. 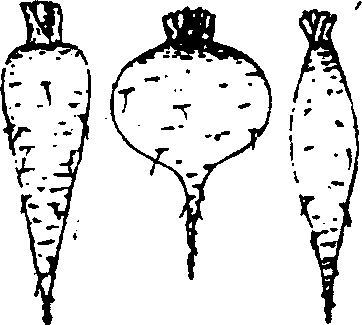 Examples: turnip and beet. adventitious roots. It has following forms:. 1. Underground or subterranean adventitious roots: These roots arise from some part of stem which is in contact with the soil. They may be fibrous or tuberous. Fibrous adventitious roots: These are long and slender roots. These commonly develop on creeping and underground sterns like grasses. 2. 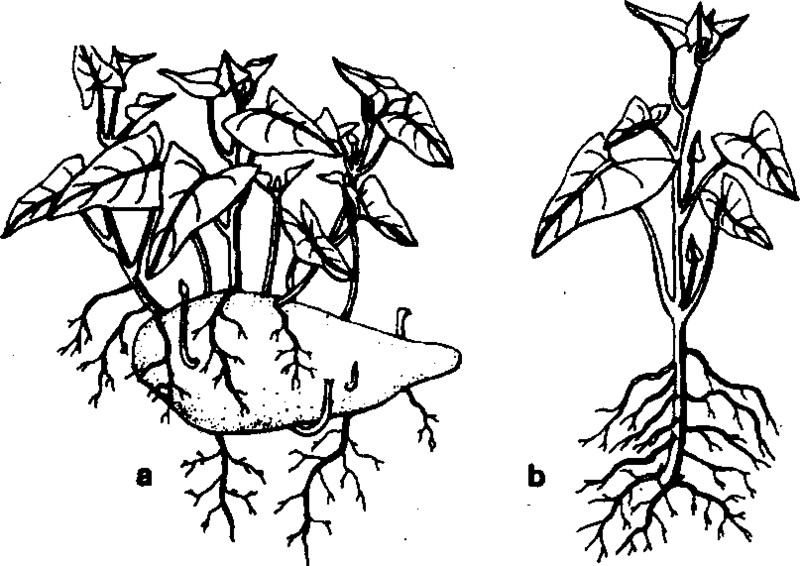 Partly subterranean adventitious roots: These roots are partly above and partly below the ground. These roots may be stilt roots, prop roots and aerating roots. (a)Stilt roots: In this case, adventitious roots arise from the lower portion of stem and grow into soil. Such types of roots are found in corn, stig:if cane, bamboo etc. (b)Prop roots: In thiF case, roots hangs down in the air from the aerial branches of stern. These roots absorb moister of air. Example:bayan rubber tree etc. Aerial roots: These roots are entirely exposed in air. These roots perform special functions. There are two kinds of aerial roots. 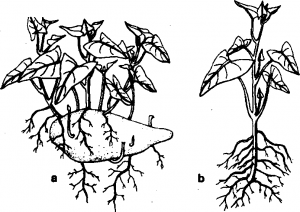 a.Climbing roots: These roots are developed by stein in climbing plants. These roots firmly attach the plants with some support like wall, tree trunk. These roots secrete sticky fluid for attachment. 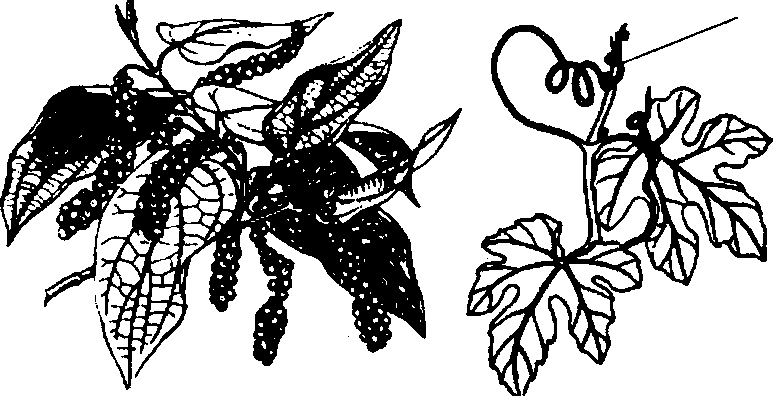 Examples: These roots are developed in long pepper etc. b.Absorbing roots: Some epiphytes develop long roots in air for absorption of moisture. These roots are called absorbing roots. These roots hang freely in the atmosphere. These roots are develved in orchids. parasitic plants like Cuscut Stem develops these roots for absorption of food from host. These roots penetrate into the host tissues. 5. Aquatic roots: These roots are developed in water plants. These roots arise form stem and spread in water. Example: Hydrilla.